On April 12 at approximately 10 a.m., a school resource officer assigned to Thomas Stone High School was advised of an altercation between two students inside a classroom. When the officer entered the room, he observed a male student being restrained by a teacher and several students, while another male student was being held back by a different group of students. The male who was being restrained by the teacher broke free and began running in an aggressive manner toward the person with whom he was fighting and the officer who was nearby. He ignored the officer’s verbal commands to stop at which time the officer deployed his agency-issued Taser and safely apprehended him. Emergency Medical Services (EMS) was called to the school to examine both students. The student who was being restrained was arrested and charged with affray, disruption of school activities and failure to comply with a lawful order. The other student who was involved in the altercation will be charged with affray and disruption of school activities. Both students are 15-years-old. 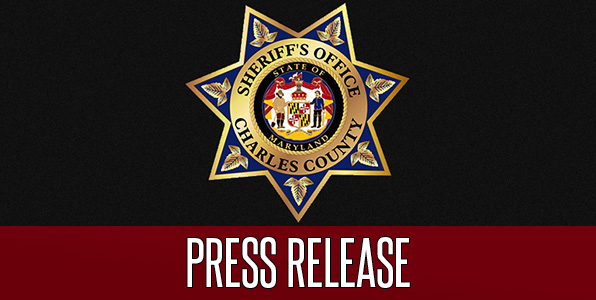 In light of recent incidents that have occurred over the last week on school properties, the CCSO is urging parents and guardians to talk with their children about their behavior and remind them that arguing, fighting and bringing guns and other weapons to school have serious consequences. Also, parents are asked to talk to their children about using social media properly and be aware of the dangers, panic and potential criminal consequences of posting threats and rumors which disrupt school activities. Further, students are urged to report suspicious activity to a school administrator or their school resource officer as soon as possible.